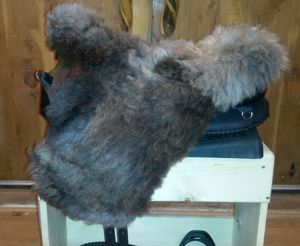 Short flap, no blocks. 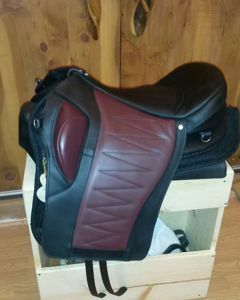 Suitable for casual trail and arena, endurance. Lightweight. 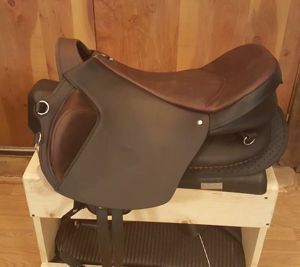 Ideal for people who prefer more room to move on a gaited horse or have a longer than average thigh. 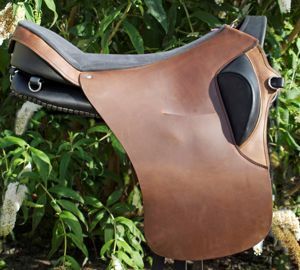 Long, spanish-style squared flap, choice of block angles, padded flap with decorative stitching. This is the widest standard Ghost flap. 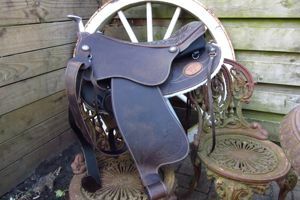 Suitable for arena or trail. 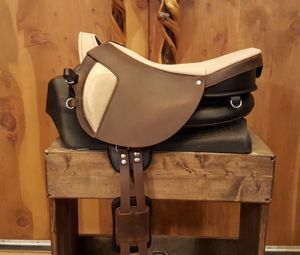 All the look of a western saddle with the comfort of an English twist. 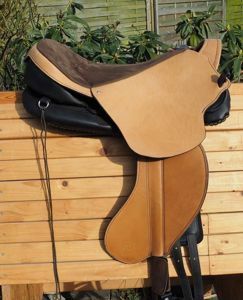 Order with or without horn, seat stitching, blocks etc to make this the perfect saddle for you and your riding partner. 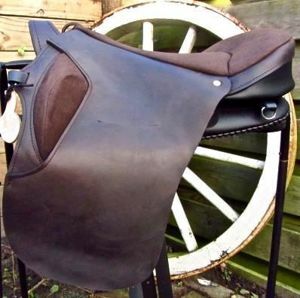 Same base as other Ghost saddles, but seat is made from an exclusive, long fiber sheepskin. You are able to choose skin coloring from currently available stock, which does vary through the year. Indicate in the comments field if you prefer soft, muted colors or loud, contrasting patterns and I will email you pics to choose from.